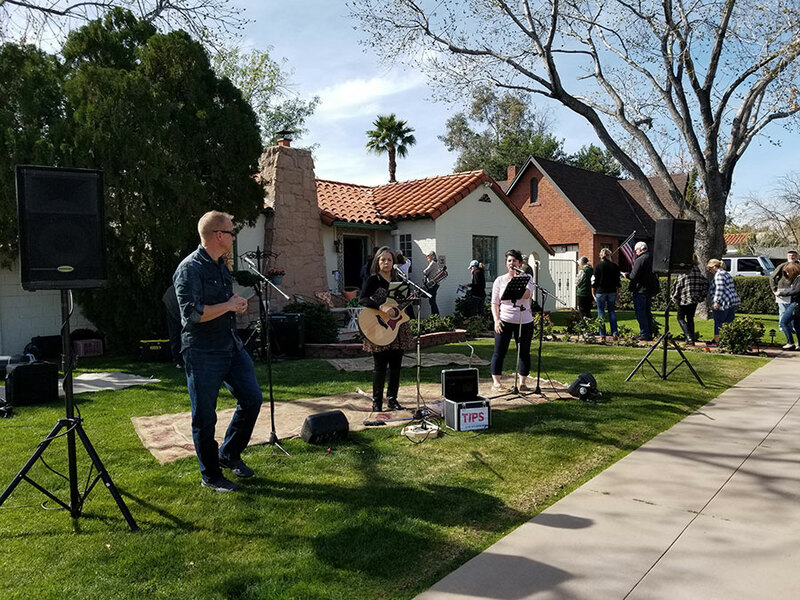 The Willo Historic Neighborhood invites residents and Valley visitors to its 31st Annual Willo Home Tour. 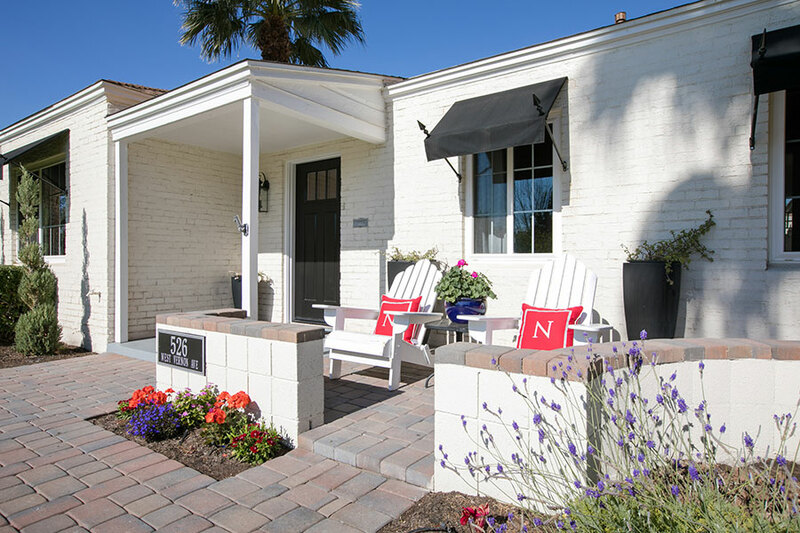 Join us for an inside look at some of the unique homes that make up the neighborhood. 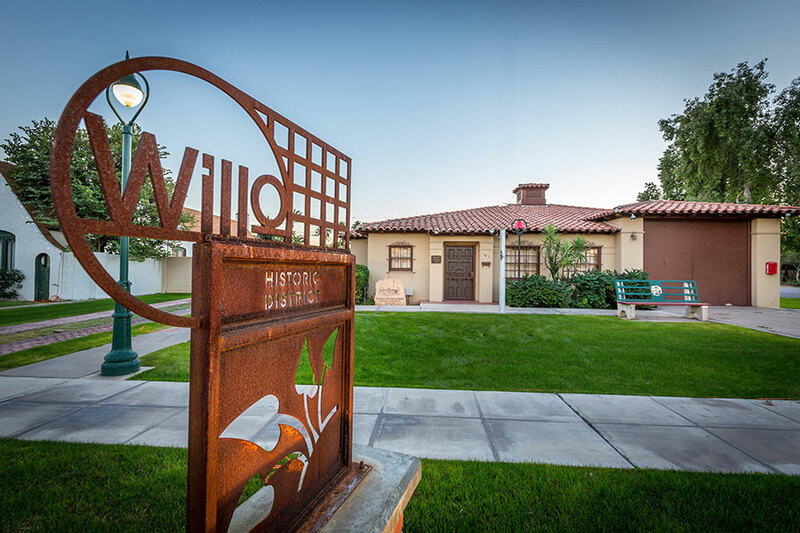 Willo is Phoenix’s largest historic district consisting of over 900 homes and is bordered north to south by Thomas and McDowell, and east to west by 1st Avenue and 7th Avenue. 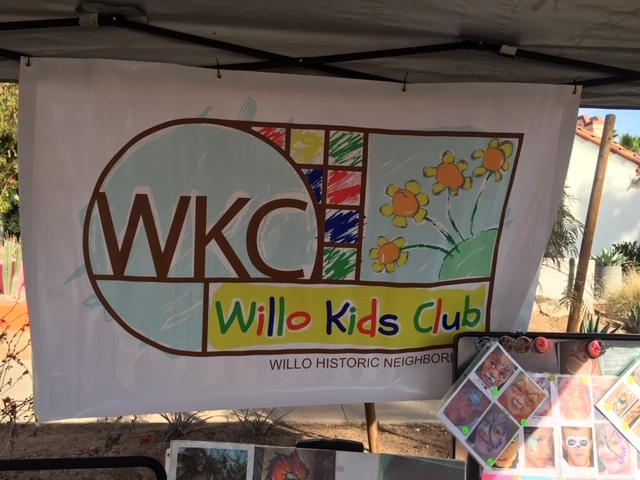 Learn more about the Willo neighborhood’s history. 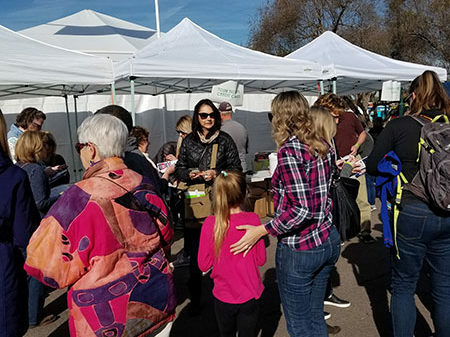 The Willo Historic Home Tour and Street Fair has something for everyone. In 2019, architecturally significant homes and the historic firehouse will be open to the public for an inside look. 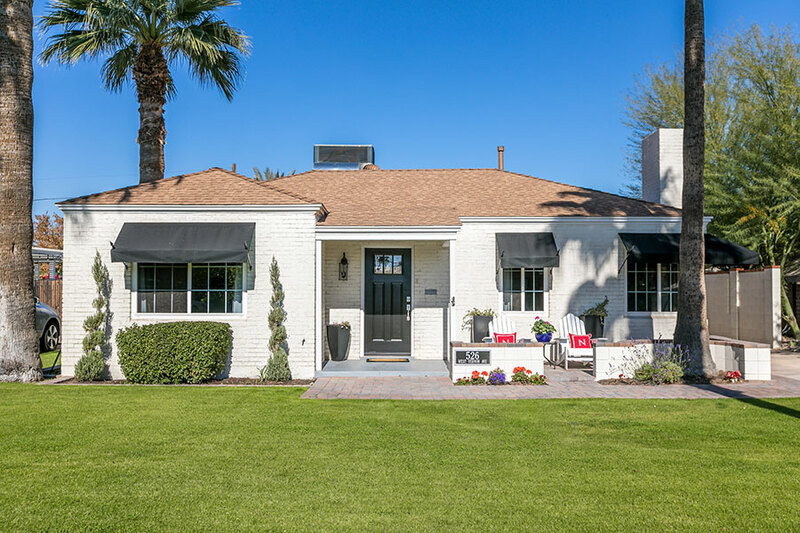 The homes range in style from Tudor to Spanish Revival, Bungalow and Ranch and were built from the 1920s through the 1940s. 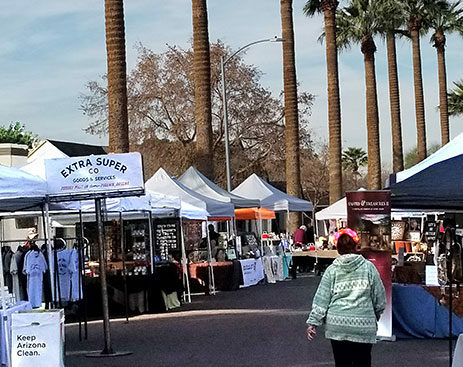 If laid back relaxation is more your style then you can enjoy the classic car show on Holly at Third Ave. and the beer/wine garden. 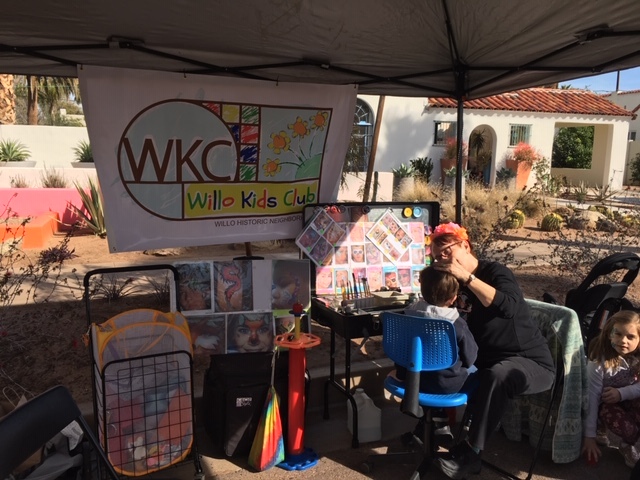 The Willo Home Tour is the sole fundraiser for the neighborhood and provides the funding for neighborhood movie nights, holiday luminarias, Block Watch, Willo Yard Sale advertising, Kids Club activities and other neighborhood events. 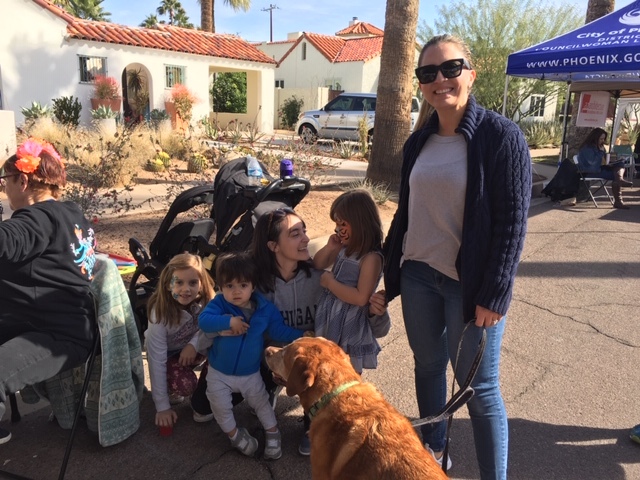 The Tour is put on by volunteers who live in the neighborhood. 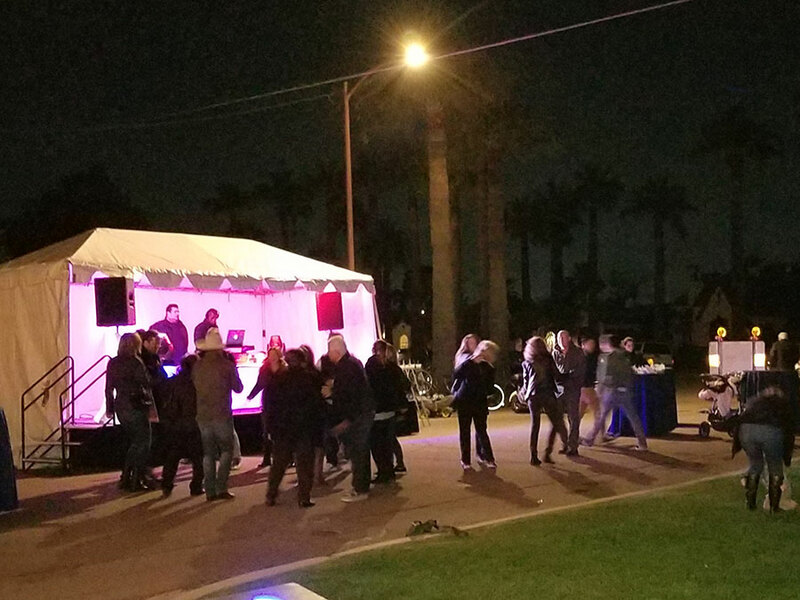 The committee also hosts several appreciation events for the homeowners to thank for their commitment to the neighborhood. 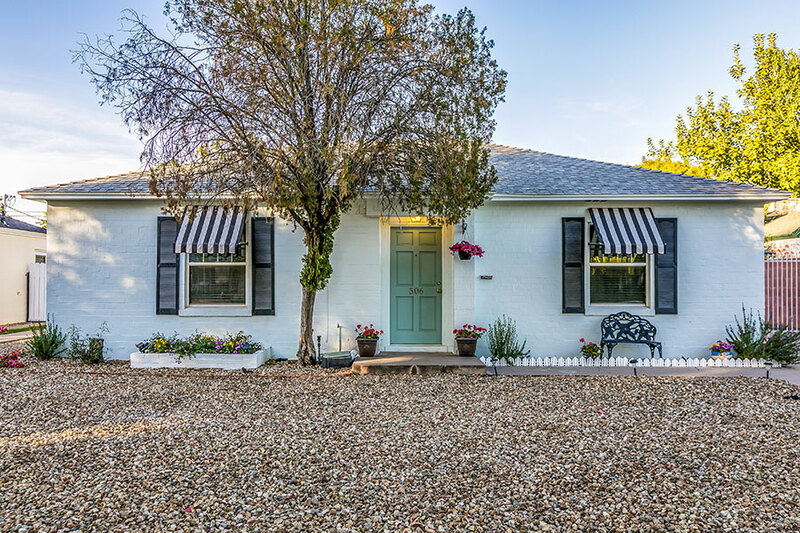 Characteristic of the Early Ranch style, this 1940 home displays the simple utilitarian features that were popular in the World War II era. 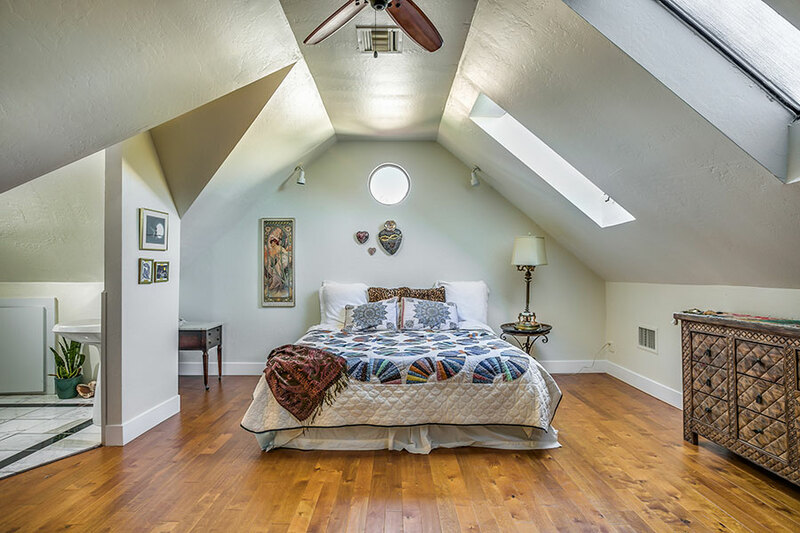 The unusual hip roof resembles a pyramid with all sides sloping gently down toward the walls. 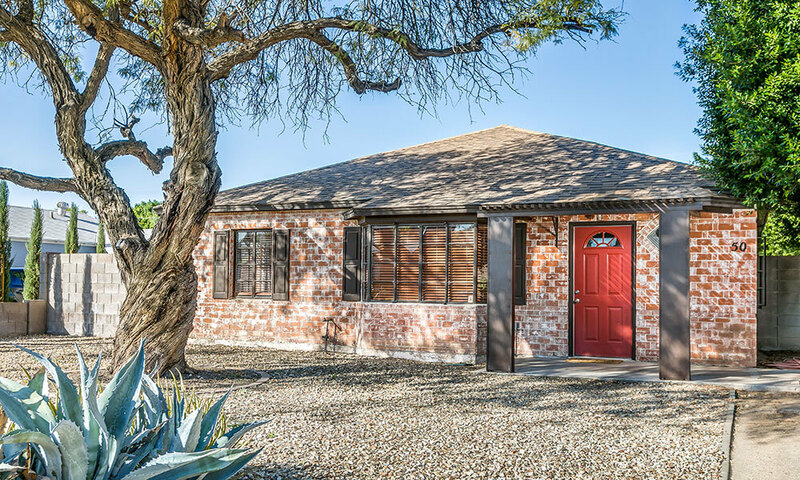 Other stylistic elements of this brick constructed rancher include a small wood columned porch, metal framed windows with small panes, and a L-shaped floor plan. Historically designated the Edith Alexander House, this Tudor Revival home is also known locally as the “Seven Gables” house. 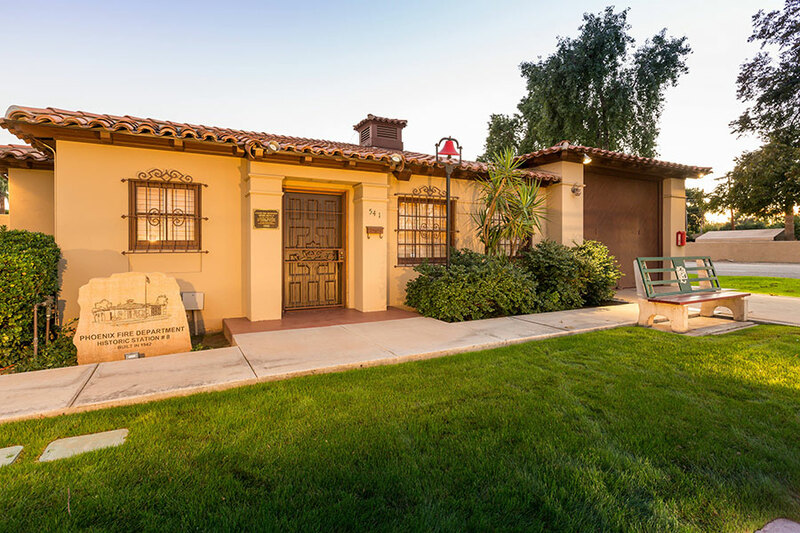 It was constructed in 1926 during the first major housing boom in Phoenix. 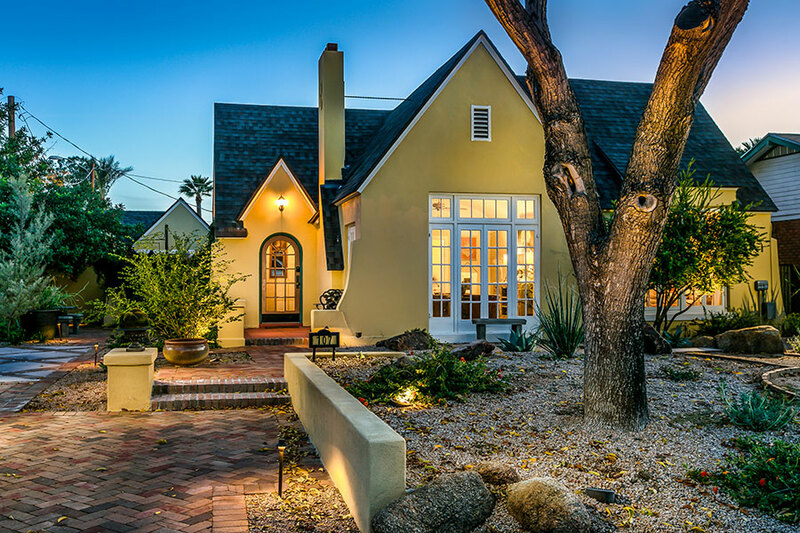 The home is illustrative of the popular Tudor Revival style, which has its roots in 16th Century English manor houses. 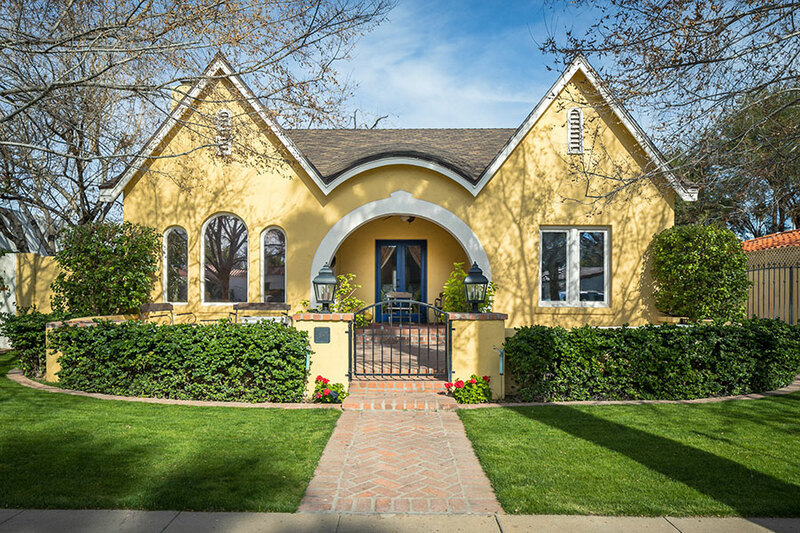 Characteristic features of this style of architecture include the steep 7 gabled roof, asymmetrical facade, and large multi-paned windows.The off-center arched front door is original to the house, as are the elements of the kitchen. The current owner added 2 rooms and a bathroom to the carriage house in 2008. Landscape additions include a butterfly and hummingbird garden. 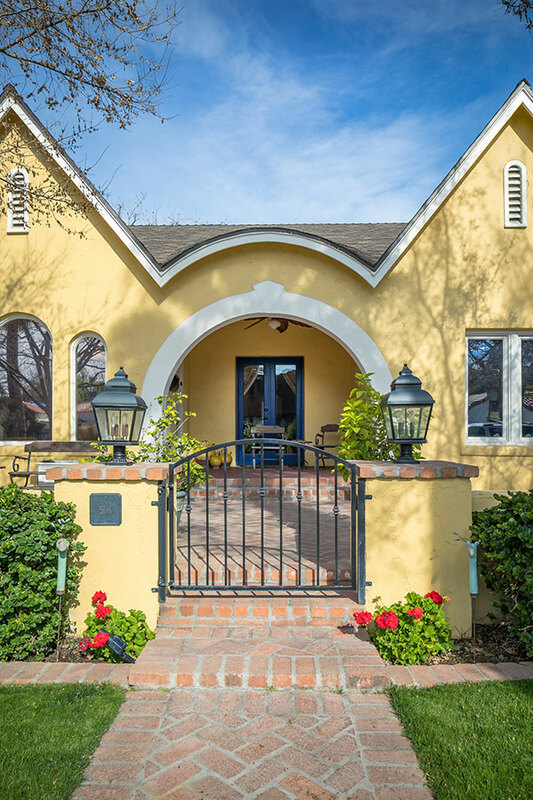 Built in 1939, this home represents Transitional Early-Ranch architecture with Monterey influence. 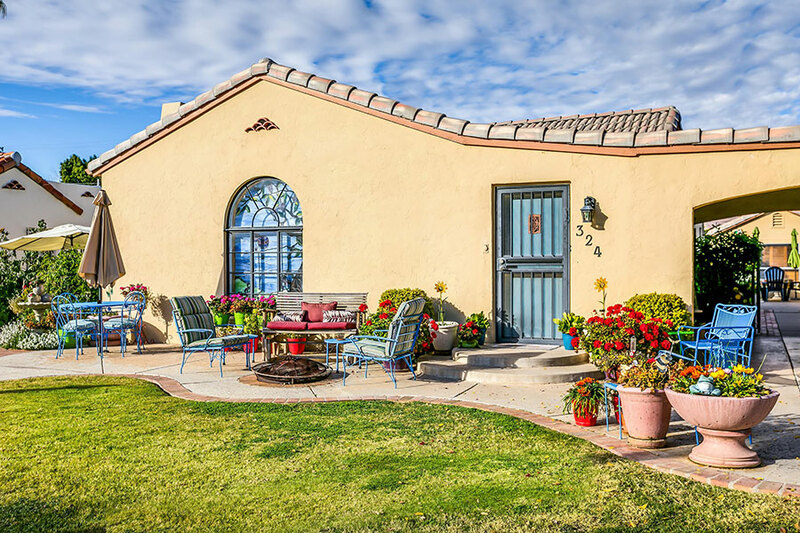 The home has a low-pitched gabled roof and walls that were constructed of 11 inch thick adobe. The original owner, Joseph Bickman was a “motor trucks” salesman and made $3,800. a year. 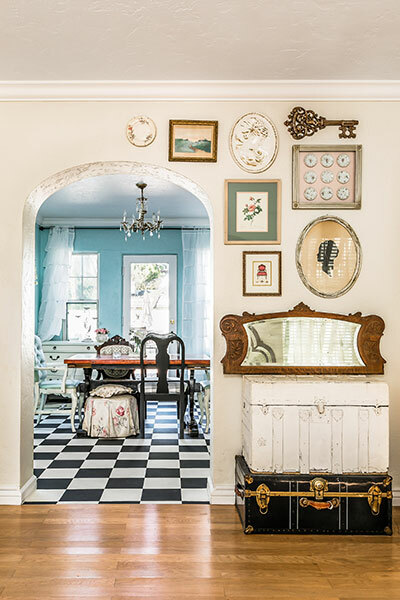 The home still has the vintage milk door, mail slot, and ironing board, which today’s owners use as shelving for spices. The kitchen maintains most of its 1939 elements including original kitchen cabinetry. The bathroom with its raspberry and pink tile provides an instant flashback to the1930s. Like many houses in this era the insulation in the attic was sawdust and had to be replaced for fireproofing. 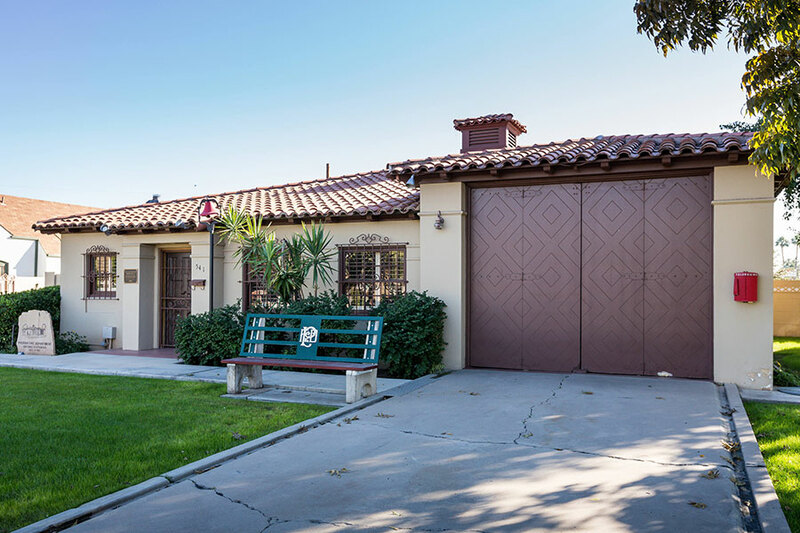 The one-car garage was converted into a small casita in 2011 and then expanded to a 2 bedroom guest house in 2016. 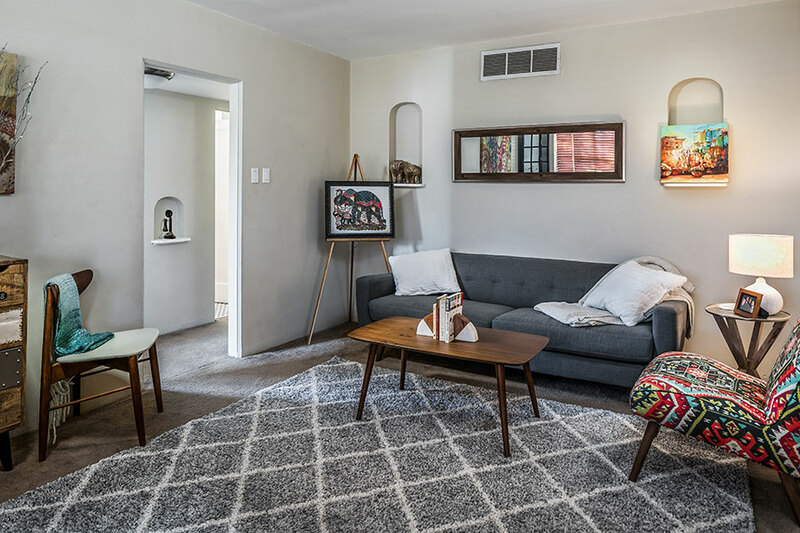 Along with family heirlooms that decorate the home, the owners are gradually building an art collection by local artists. 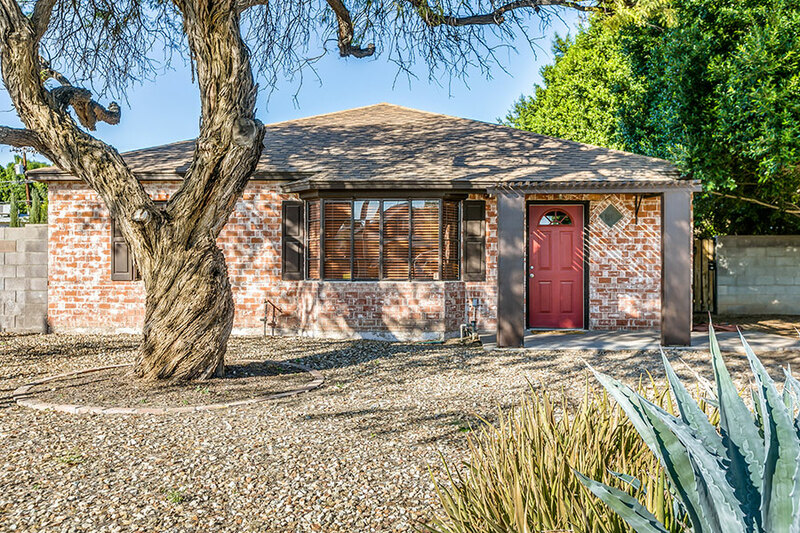 Exemplifying post World War II Mid-Century Modern architecture at its finest, this Ranch-style home was built in 1969. The concrete masonry block construction is topped by a low-pitched roof with overhanging soffit. 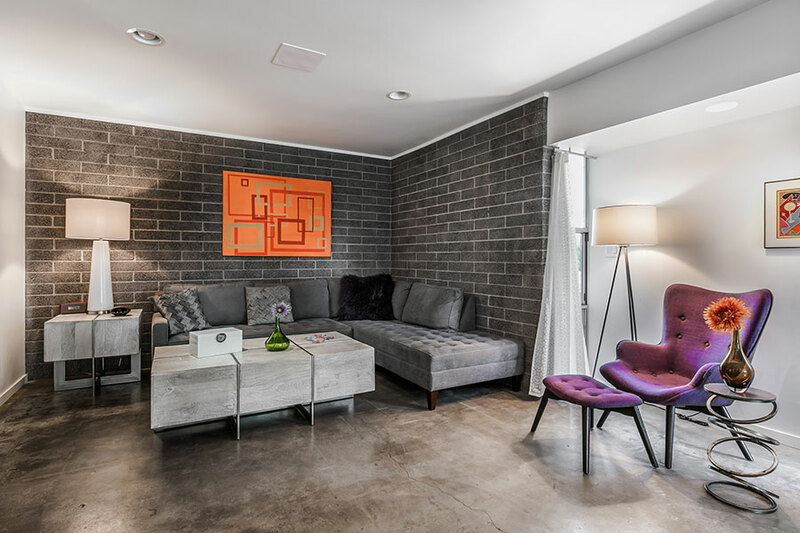 The current owners have added many upgrades to this minimalist design with its concrete floors. 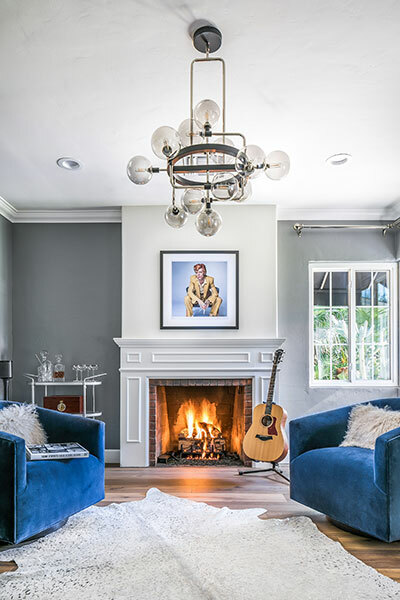 These include metal cladding on the front bump-outs, bar seating with flip-out window, built-in bar/humidor in the living room, barn door in master bath, and custom wall treatment and Mid-Century fireplace in the master bedroom. 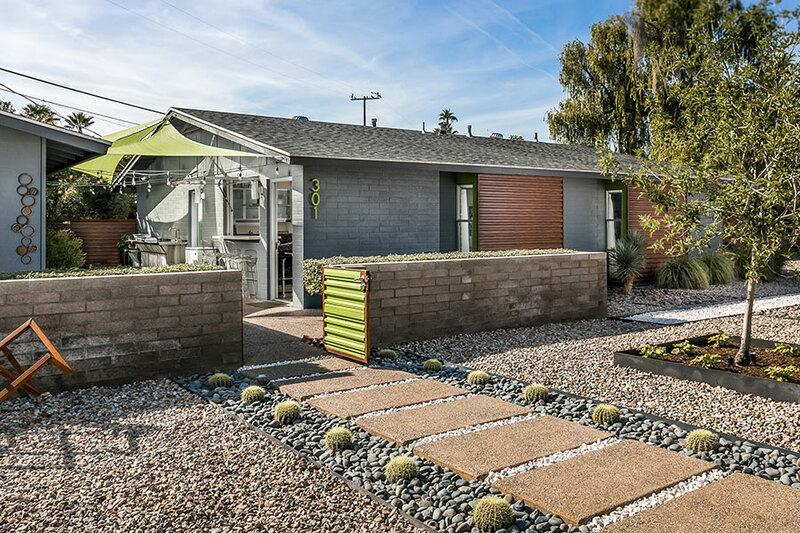 The owner-designed landscaping is in accord with the Mid-Century esthetic and includes: gates and gabion walls, indoor/outdoor courtyard with alfresco kitchen and sail shades. 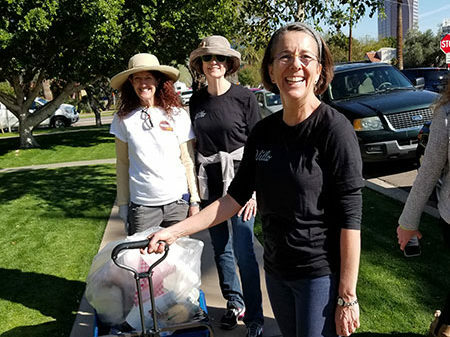 The original owner was Fred Glendening, who was the Director of Public Works for the City of Phoenix. An Engineering scholarship at the University of Arizona was established in his name. 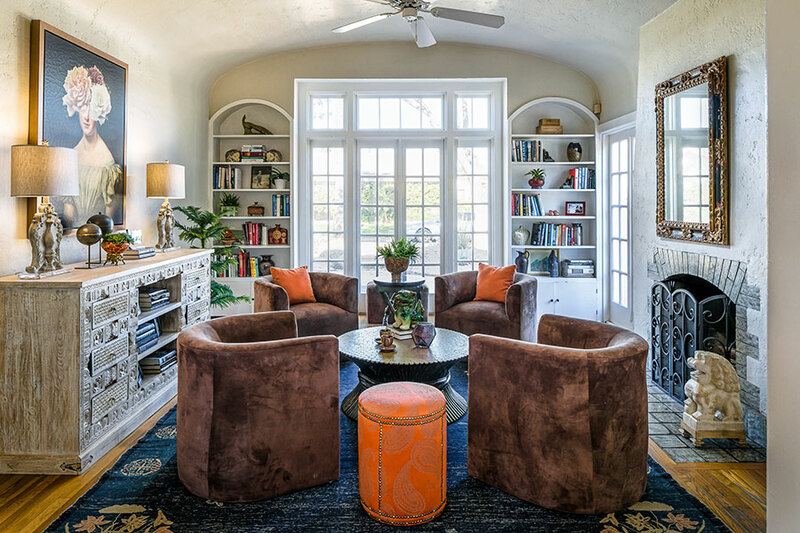 Southern Charm has carved a niche for itself in this classic Willo home. Historically known as the C.A. 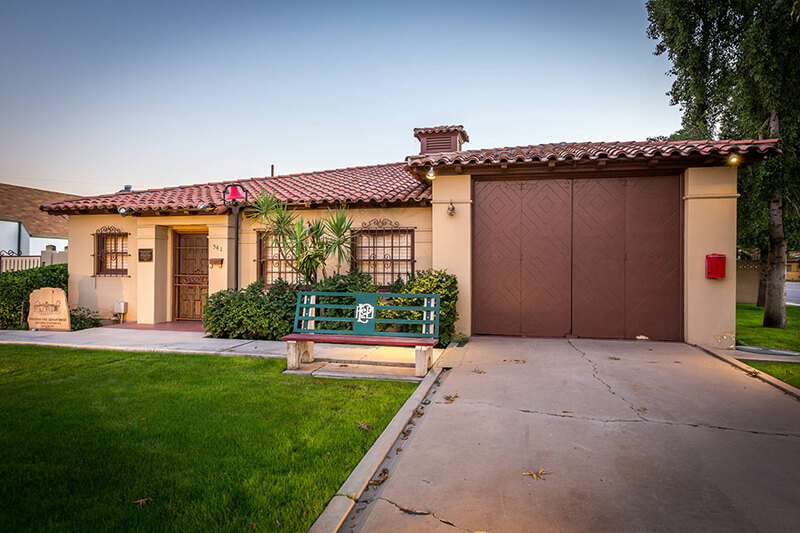 McDonald House, this home is illustrative of Spanish Mission or Spanish Colonial Revival style. 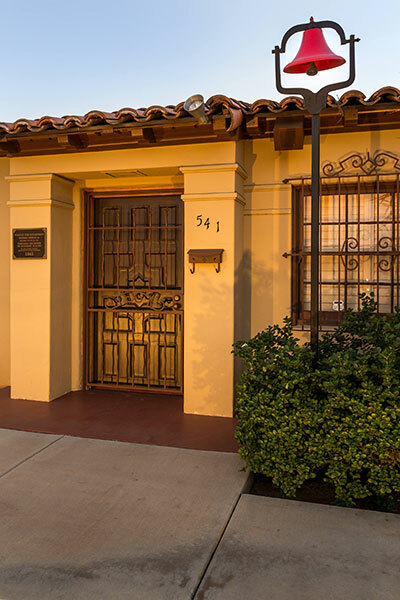 Built in 1940 by prominent architect John H. Lester. 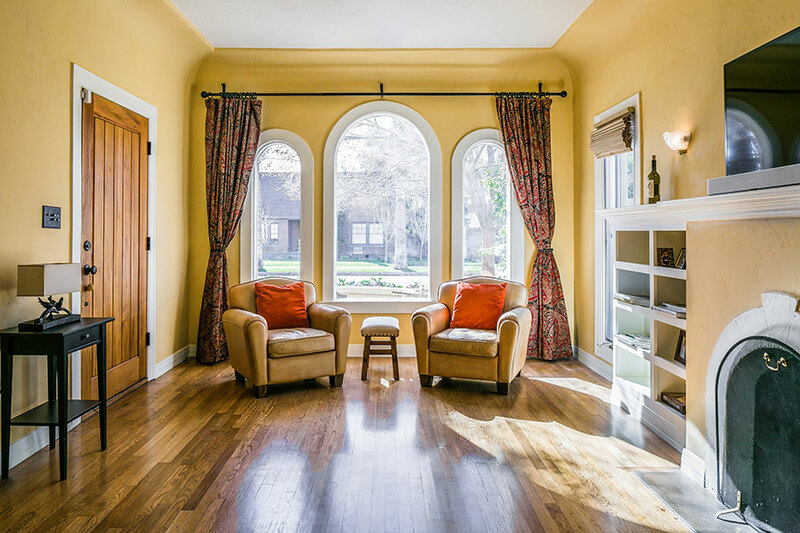 A custom stained glass window adorns the living room and coved ceilings dress the home throughout. 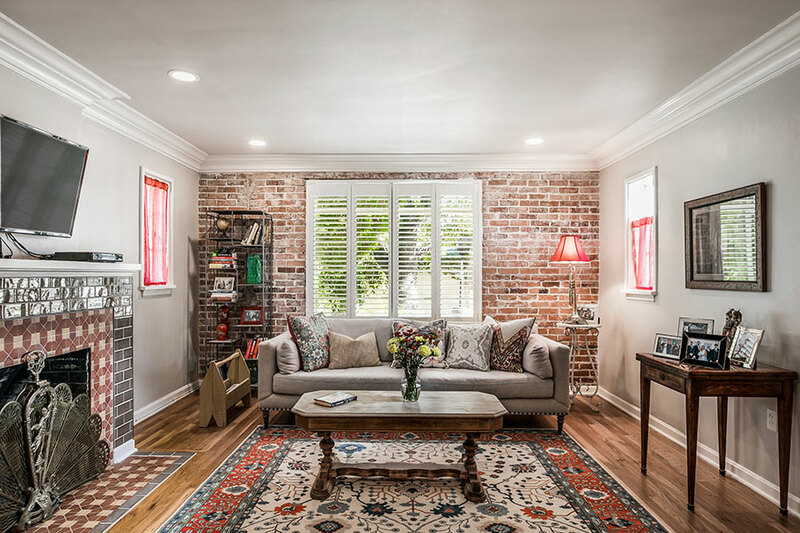 The owner honors the authenticity of this home by maintaining the original interior decorative features. Notice how the wall sconces in the living room match the original chandelier in the dining room. Other original features include the original bathroom fixtures and tiles, milk delivery door and the phone niche in the hallway. The daring mix of color will inspire others to throw caution to the wind. 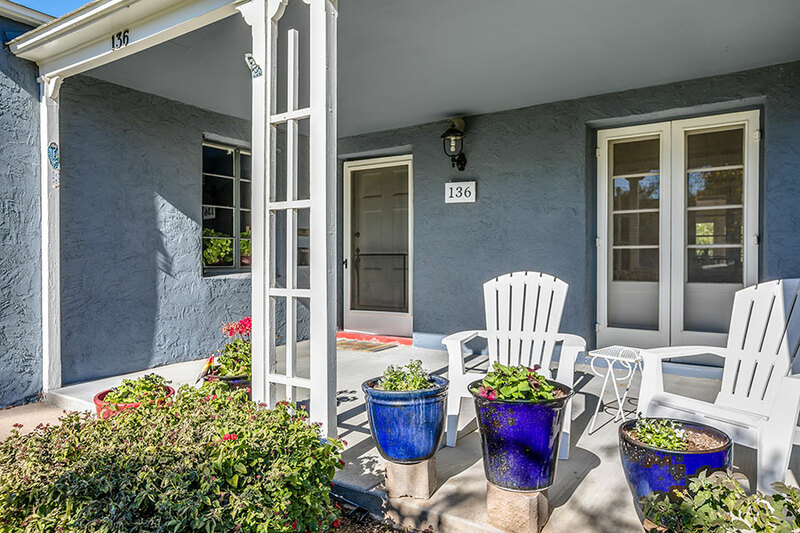 The backyard in a true delight where you will find a relaxing spa under the gazebo, raised garden beds and assorted Arizona citrus trees. 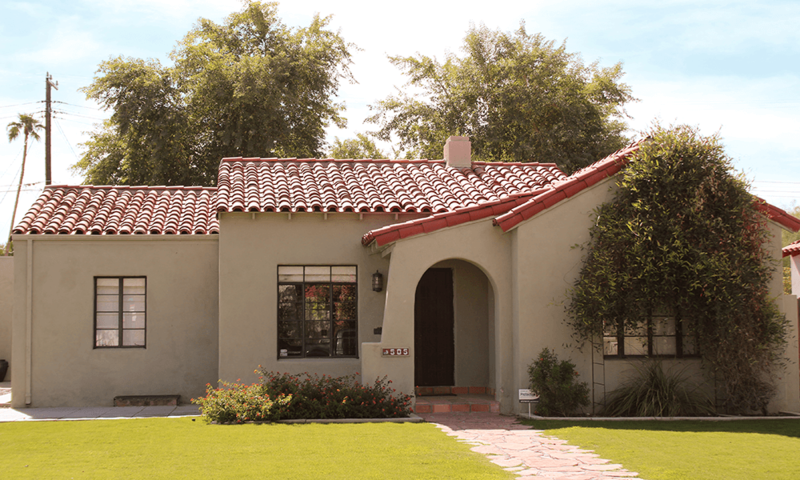 Known as the Irene Raymond House, this Spanish Mission Revival home was built in 1939 by prominent Phoenix contractor, Thomas H. Evans. The use of tufa stone, as seen on the chimney work, was a trademark of this builder. 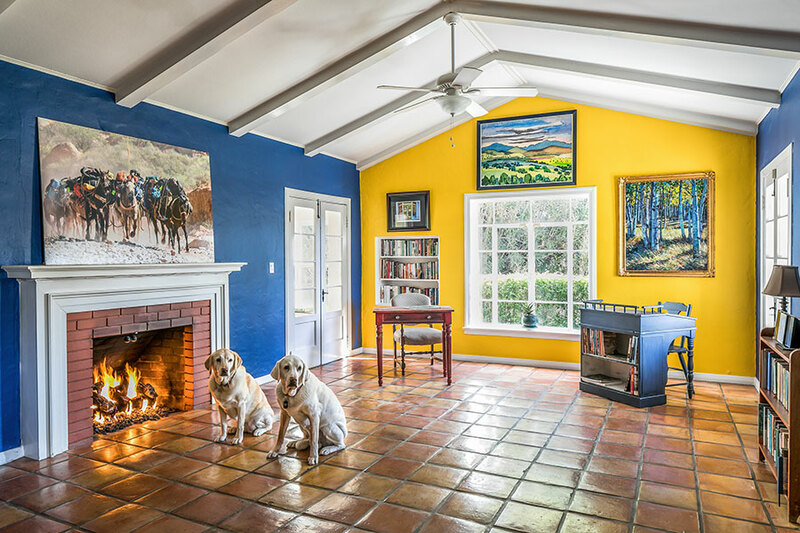 Many of the home’s details typify Mission style including the low-pitched tile roof with exposed rafters and painted brick instead of stucco. Unique to this house is the tile surround on the front door and the glass block inserts. The mail slot, milk door, windows, interior doors and doorknobs, porcelain tub, and bathroom tiles are all original. 1998 saw extensive renovations to the backyard including a pool, spa, stone decking, built-in BBQ, fireplace, wet bar, and pergola. The current owners gutted the kitchen and master bath in 2018. While refinishing the floors and painting they discovered water damage to the stucco on the living room wall. In the process of repairing this they found a beautiful brick wall underneath, which they have left exposed. One of the owner’s family has lived in the Willo since 1937. The Grace B. Johnson/H.M. 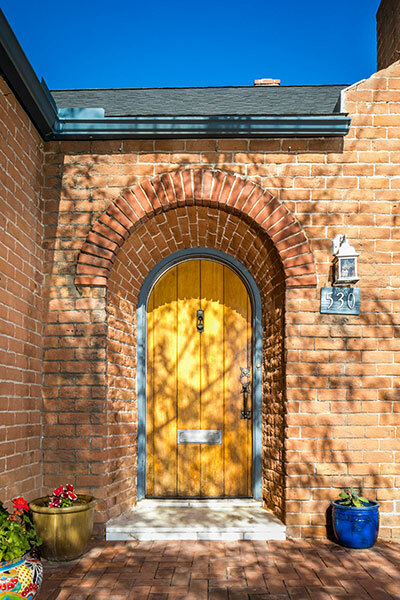 Clark House is locally referred to as the “Bat Man” House due to the high-pitched and doubled-gabled roofline that resembles bat ears. 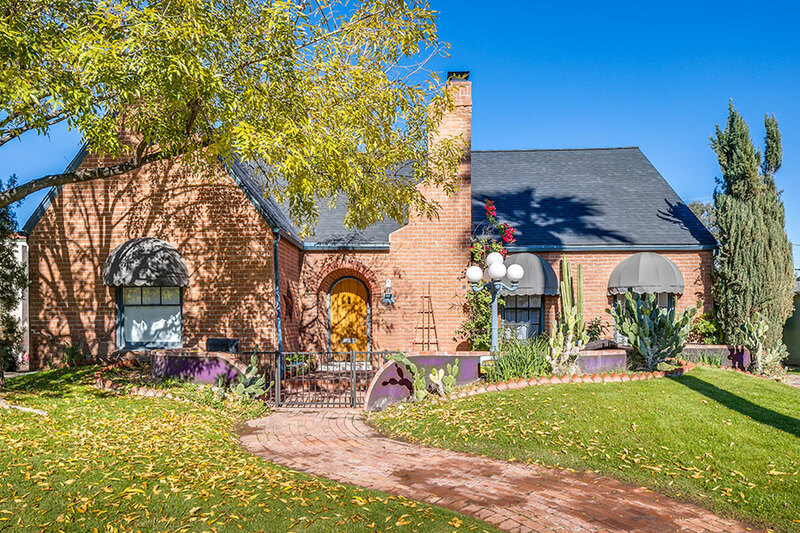 Built in 1929, this Tudor Revival home is a unique variant of the popular revival style with its symmetrical facade and large arched vestibule entry topped by an eyelid shaped eave. Historically known as the O.E. Kahle/N. 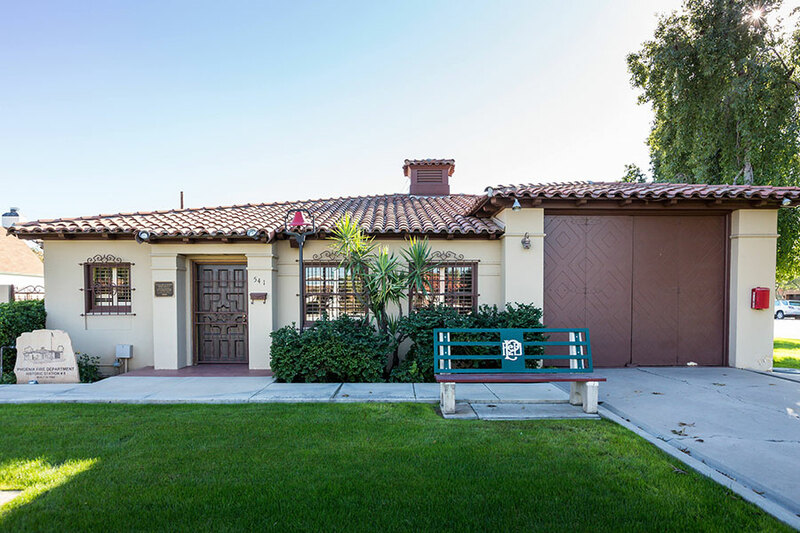 J. Brooke House, this home represents Transitional Early Ranch style with Monterey influence. The home was built by O.E. Kahle in 1940 as a speculative home and sold to Brooke in 1941. 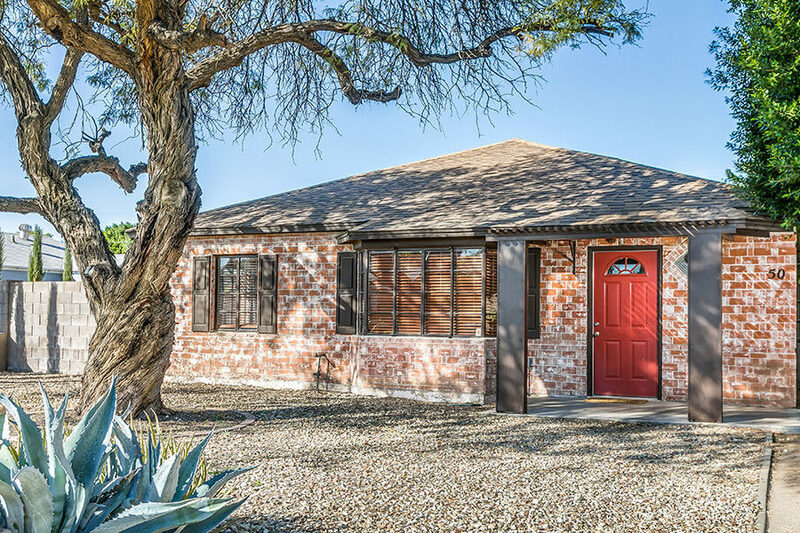 It is constructed of brick with a shed roof, wooden posts, cornice molding, and a corner window exemplary of Early Ranch style. 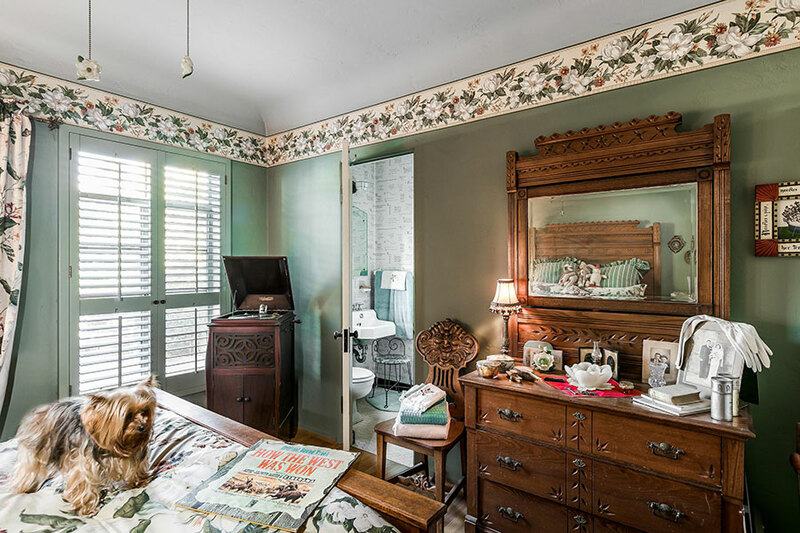 A family room and master bedroom with adjoining bath were added in the 1970s. 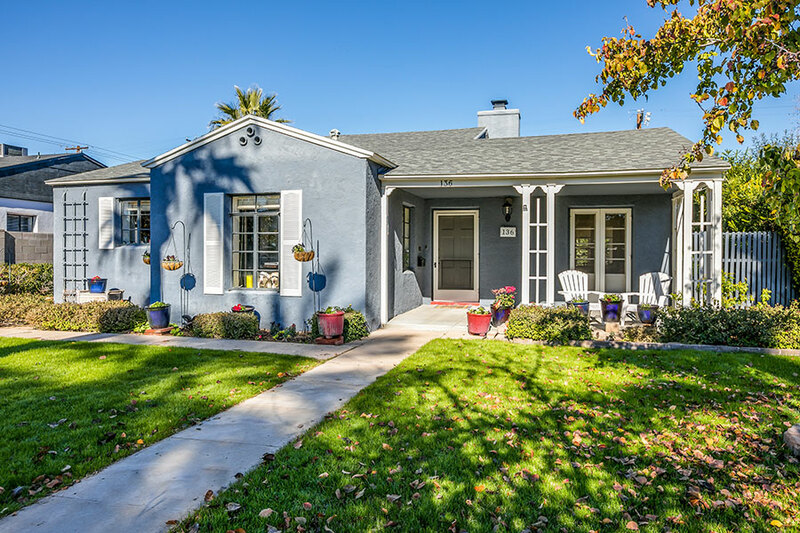 The owners completed a full remodel in 2018, which included a updated kitchen and bath. New landscaping and a porch were added in the backyard. Known historically as the W.J. 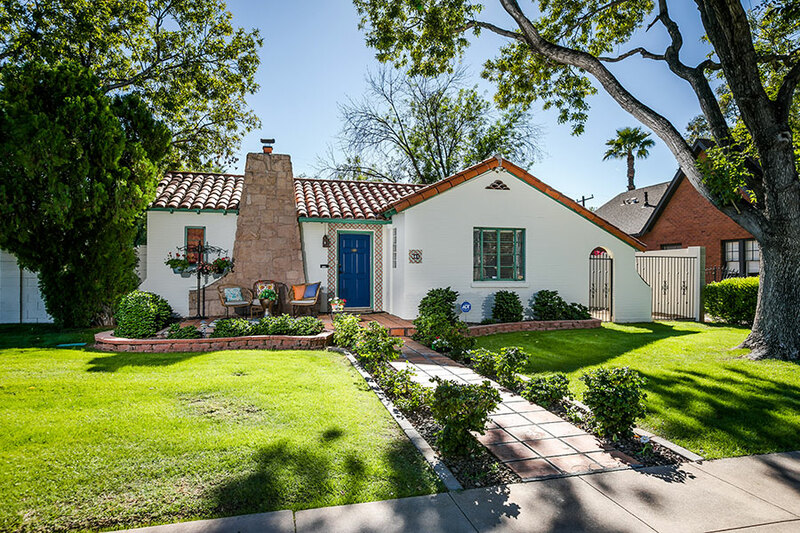 & Helen G. Lewis House this Tudor Revival home was constructed in 1929 by builder T.S. Angle. Popular in the 1920s and 1930s in America, this style was based on 16th Century English Tudor manors. Typically these homes feature a steep roof, large gables, irregularly-shaped massive chimney, and an arched entry with vestibule porch and batten door. The interior takes after the English Tudor manor with many odd-shaped rooms with nooks and crannies. Some rooms in this home still have the original oak flooring and the marble in the upstairs bathroom is allegedly from the officers’ bathroom at Fort Whipple, Prescott. The newly installed spiral staircase was added for esthetics and safety. 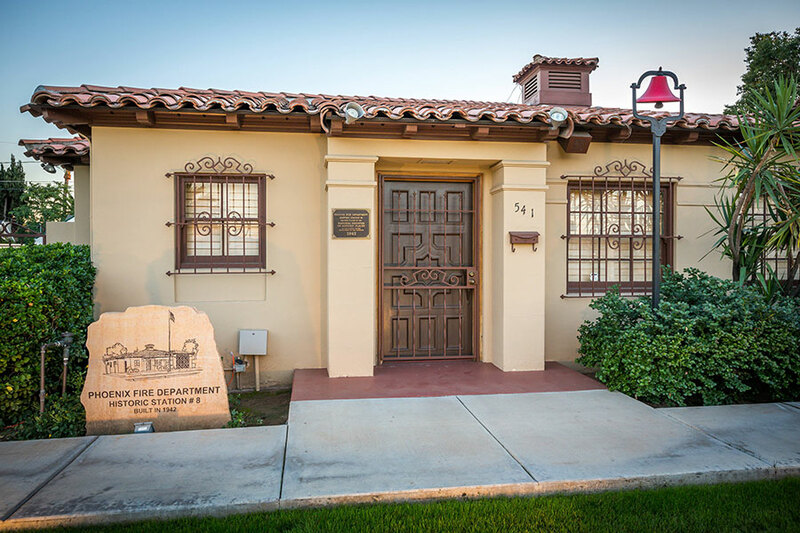 Firestation – 541 W. Encanto Blvd. Willo’s very own Fire Station # 8 was put into service in1942. 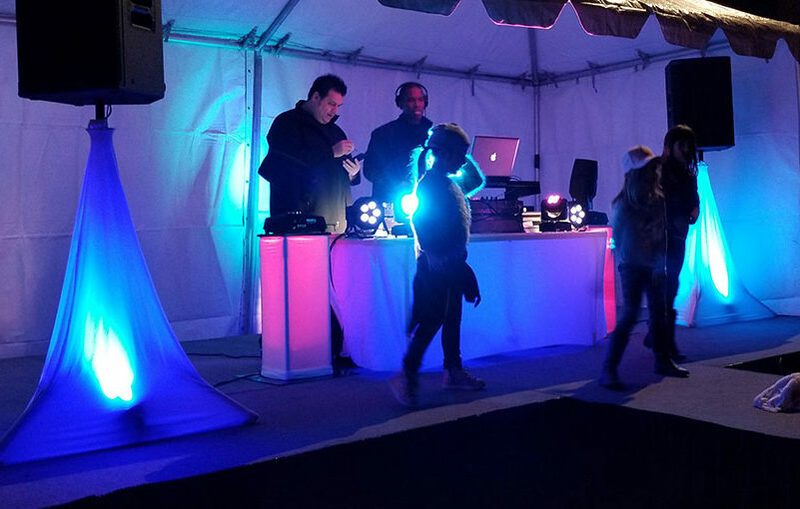 It has been revamped from an active station to a museum and meeting facility. The Fire Station has been on tour for many years and each year continues to be maintained as a registered historical building. 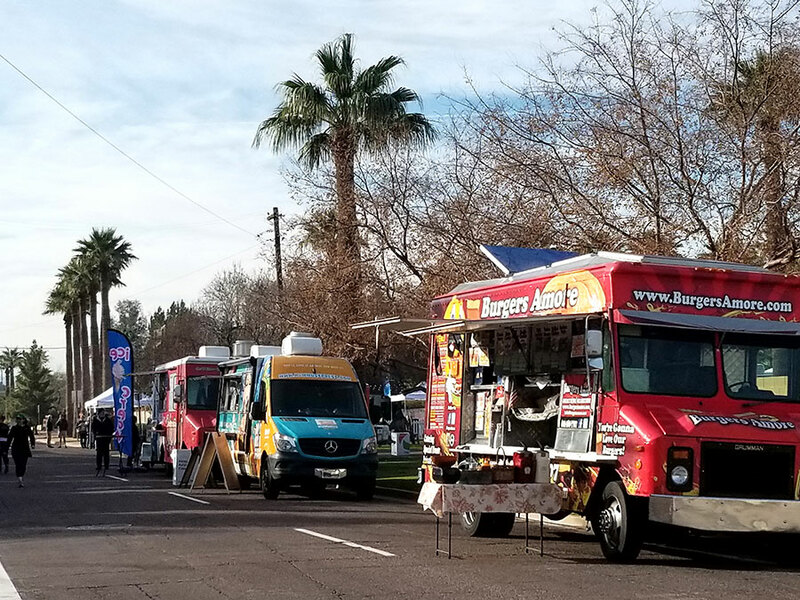 Don’t miss the antique fire trucks and the Chief’s car that will be on display in addition to other vintage firefighting equipment and historical photographs.